The ScrapTiffany challenge for today is all about music--specifically a LO based on a song title. I chose Billy Joel's Piano Man. Little Miss got a little piano for Christmas, but it turns out our little guy has lounge act aspirations as well lol! When they play together he sits at the piano and she stands next to it and sings into the microphone. Not quite the Von Trapp family, but hilariously entertaining. Anyway, head on over to ScrapTiffany to see the other song title inspired projects. And if you take the challenge, email it to Tiffany by friday. I am in love with De Lovely. The bright colors just scream summer to me and the blue and yellow are my favorites ever. 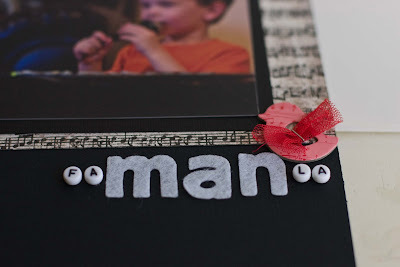 I'll be back tomorrow with a link back to ScrapTiffany because it is my turn to showcase a Tuesday tutorial on the ScrapTiffany blog this week. Have a great night! Both of these pages are fabulously cool! I love that Delovely line you used... must find me some of that! I love both of these layouts! Great color choices, totally cute pics! Both of your layouts are adorable. I really love the piano man layout though. Very cute and I love the colors. Great tutorial over at Scrap Tiffany today too! Congrats Rebecca! I just saw you won the May challenge for Elles Studio! Way to go! oh, I love the Delovely layout!! Such fun colors and fun photos to match! And the piano man layout is great, love the black and red and bling! I love the DeLovely layout! Those colors are perfect for your little girl. 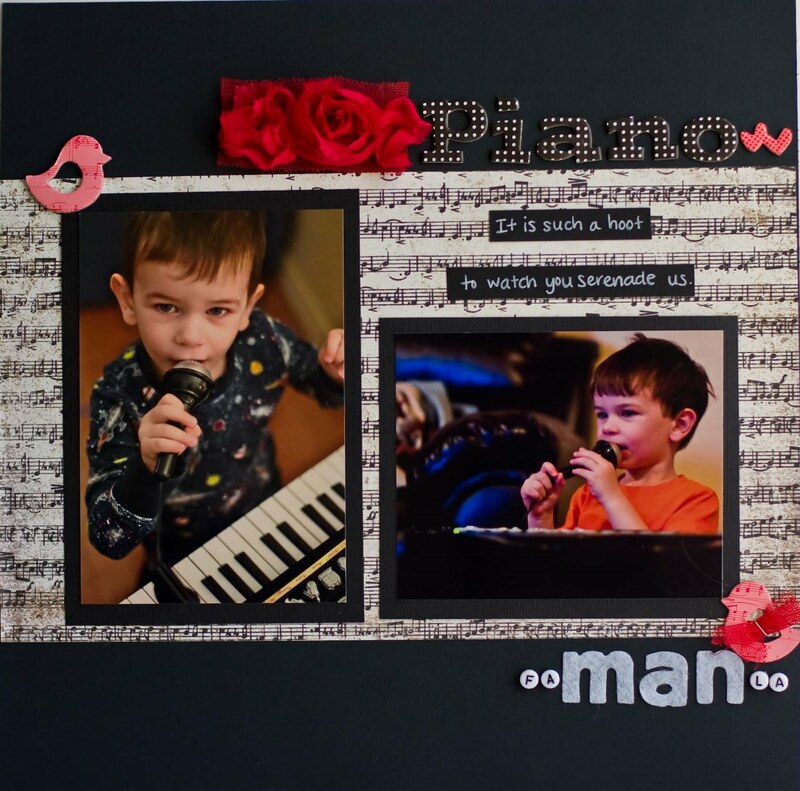 And love the little dude's in Piano man!